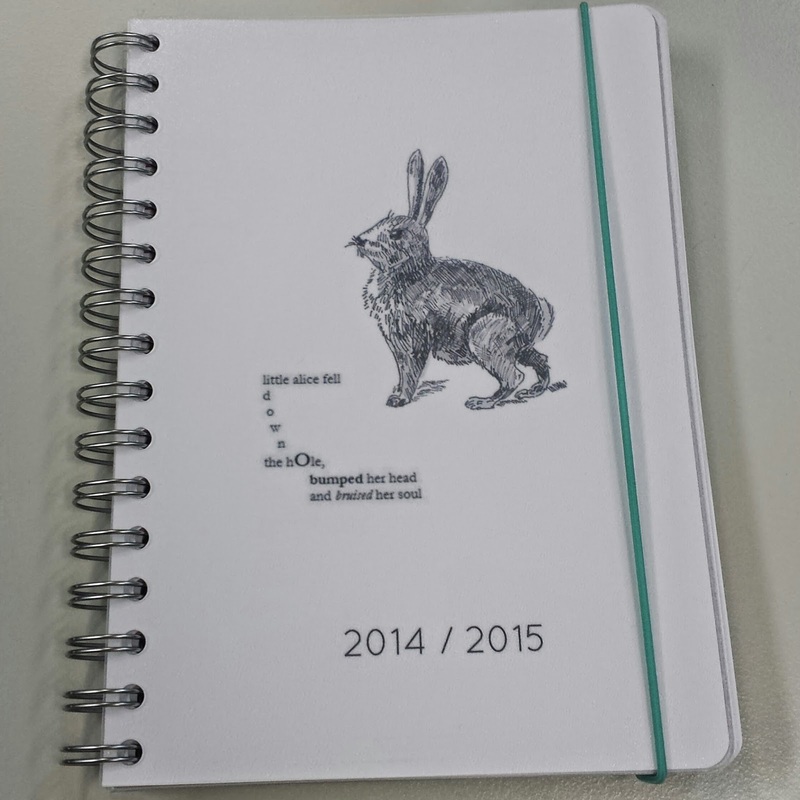 I recently got the most gorgeous planner made by Personal Planner. It's a site that enables you to create your own planner, step-by-step, just the way you want it! 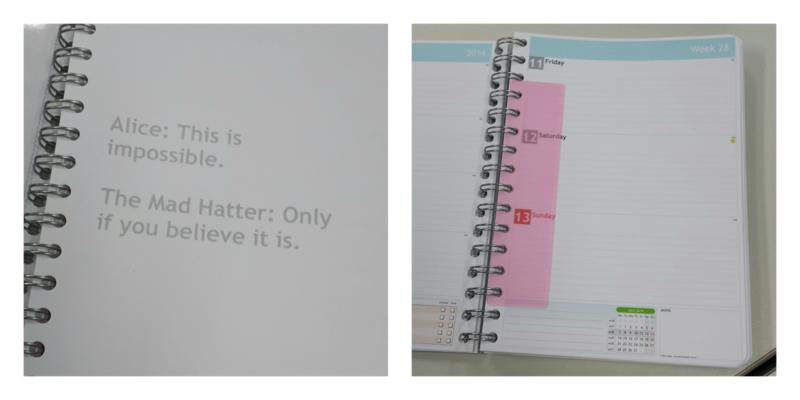 I loved the idea of this when I first heard about it, and I love the fact that you can customise every detail of your planner - the front & back covers, the inside contents and order, the way the dates are shown and other little options for each page. I decided to go with an Alice In Wonderland theme for mine, and I absolutely love how it turned out! I chose a baby blue colour for the inside pages of the planner, as well as the back cover and elastic, and a pink ruler for the inside. I think it's such a great idea, because I know personally - as a very fussy person - I always find it hard to find a diary that has all the things I want in it, and is set out in a way that I like. This completely solves that problem, and it's fun choosing all your own little elements! The lovely people at Personal Planner, have been kind enough to give me a gift card to give away to one of my beautiful readers! The gift card is valid for a personal planner in the size of your choice, plus shipping, which is worldwide. For your chance to win, all you need to do is make sure you are following me on all social media accounts (links are in the sidebar), plus following the blog either via Google or Bloglovin, and leave a comment below telling me why you would like to win - along with your social media usernames so that I can check them. I will choose and announce a winner on the 7th of August, 2014. If you are not the lucky winner, or don't wish to enter, you can still place an order and receive a 15% discount, using my discount code: D-FUEU-IBAD, on orders placed between August 1st and 15th. I can't wait to give this away to someone, it's such a great little prize! Please check out the Personal Planner website at personal-planner.com.au, and be sure to follow them on Instagram (@personalplannerau) for some great ideas for your planner! What a great giveaway! I love planners and I would love to win because I need to get organized!